Got a spill after hours? No problem. 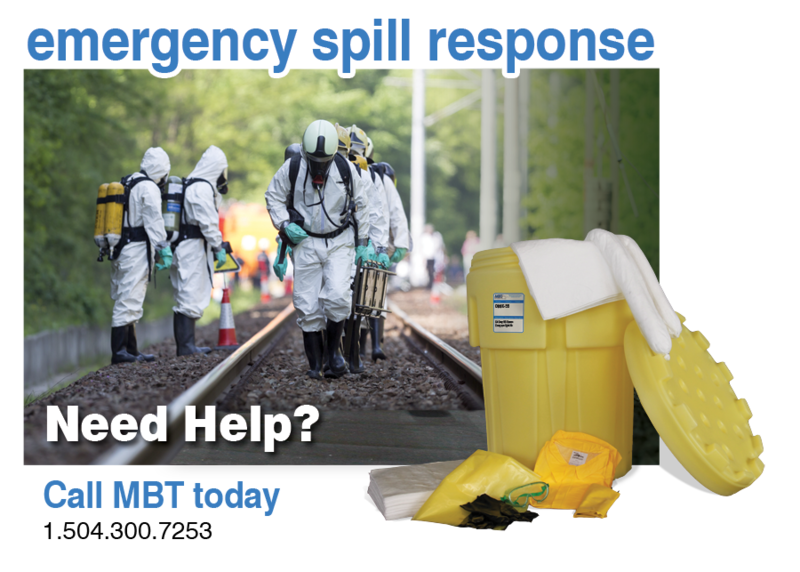 please call our Emergency Spill Hotline at 1-504-300-7253. This Hotline is available 24 hours a day, 365 days a year. MBT can also provide on-site supply chain management. We work closely with You and your customer to find the most cost effective and timely deliveries of material. In addition, we can suggest products that help reduce the overall environmental impact of the clean-up efforts. All emergency shipments will go freight prepaid and any additional charges that carriers may pass on for after hours, hotshot, overnight, etc., services will be charged to the Distributor, regardless of any freight deals.